Michael Boyle is one of the worlds’ foremost educators in the areas of performance training, personal training and athletic rehabilitation. Boyle has been involved in training and rehabilitation with a wide range of athletes, including stars in every major professional sport. In addition Mike has served as a consultant to some of the top teams in the NFL, NHL, as well as numerous division one athletic programs. In 2012 Boyle was named a Strength and Consultant to the Boston Red Sox. From 1991-1999 Boyle served as the Strength and Conditioning Coach to the Boston Bruins. 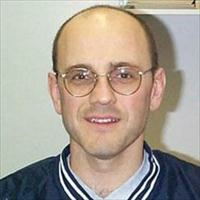 In addition from 1983-2012 Boyle was a Strength and Conditioning Coach at Boston University. In 2009 and 2010 Men’s Health named Mike’s Massachusetts facility, Mike Boyle Strength and Conditioning one of the top ten workout facilities in the United States. Mike’s impact is now being felt globally through his website www.strengthcoach.com , and through the translation of his first book, Functional Training for Sports, into Japanese, Chinese and German. Boyle’s third book Advances in Functional Training is now being translated into at least five languages.